The Seal Savers Fork Covers are a durable and washable fork cover that will not affect your fork damping or preload. The Seal Savers Fork Covers are easy to install on your machine, just slide the fork cover on the fork tube and cover the seals, then keep it in place with the provided zip ties. The Seal Savers protect the seals from dust, dirt and mud. 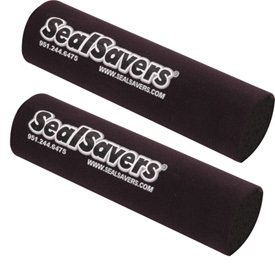 Seal Savers are durable and washable and will not effect your fork damping or preload. Simply slide Seal Savers on the fork tube, cover the seals, and use the provided zip ties. The short Seal Savers will fit Conventional and Inverted Forks, the long will only fit Inverted Forks. They fit nice and tight so no dirt or sand reaches my fork seals. Just make they dont tear on installation. They work great to keep mud and sand away from your seals. Heavy mud will still get past them eventually and they need to be cleaned relatively often for best performance. Mine eventually wore a hole in each one from mud and sand hitting right next to the tire. Also if you have a particularly wide front tire these might not fit. Great product, many of my friends use them with good results. They provide good protection and do not effect fork action. They are a good addition to a fork rebuild. The color just adds to the pro look of your scoot. Must maintain for debris accumulation. Got the yellow. It was surprisingly sharp neon yellow, very trick looking. These are a must if you are riding your bike in gritty/wet conditions where particles will get into your seals. Be careful when you wash your bike that you don't blast dirt under the seal savers or you'll just trap dirt against your seal and they WILL fail. If you watch out for that, these are great. 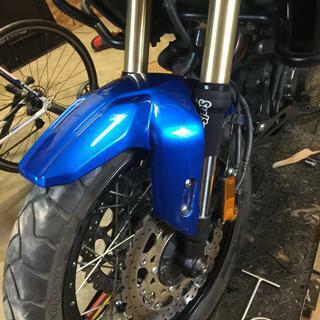 Definite on any bike, looks better than stock if your bike has fork covers. They work great but do not hold up for an entire season. 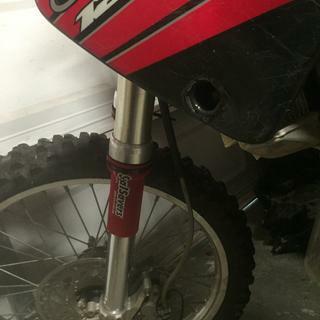 These fit my 1999 YZ 125 great they were pretty easy to install, but after they are one they are solid. The material is of great quality and they really helped extend the life of my fork seals. Perfect product. This is one item I always use. Definitely extends life of fork seals. Only downside is the forks need to be removed to put them on, but they are still worth it. The real proof for me was a trip to Red River TX. I had a seal saver on only one fork. Both fork seals had been replaced within a month of each other. A huge rain storm meant loads of mud caked all over our bikes. We rode there for three days in nothing but mud and deep sand. Of the five guys who went everyone had at least one fork seal leaking. One of the only ones that did not leak was the one I had covered with the seal saver. I now have had both covered and no leaks since. If you are using them on a KTM like mine remove the ring on the fork tube above the seal. They will tear if you leave them on. After blowing the seals on my forks and having to pay 300$ I figured it was time to buy a set of seal savers and to be honest it was one of the best purchases I've made. I'm glad I bought them through Rocky Mountain atv mc because there very honest and gave me all the information I needed to know about this item. At first I was hesitant because a couple of my friends have then and the quality felt very cheap and I thought they would rip in a weeks worth of riding but that wasn't the case they've held up very good I would definitely buy them again no question asked. I recommend this item for anyone that is a weekend warrior and that does trail and track riding. Thank you Rocky Mountain atv mc!! Great product! Installed when replacing fork seals for easy installation. Been using Seal Savers for years, and they hold up great. Great product to help your seals last longer. Can create some extra stiction on motocross forks, but for a big adv bike these are spot on. Words peeled off skins a little when lifting to check seals for leaks. You have to remove your fork when installing so these are best to install after redoing your seals. Great fit on my Super Tenere. Keep your seals clean. Definitely saved my seals plenty of times. Not the best looking but better than replacing seals every race. I've been using Seal Savers for the last 10 years on many different brands of motorcycles and I have yet to have a fork seal leak. Great product! Seal savers are cheep insurance to avoid a time consuming repair. Easy to install if you know how to pull your forks. I like the quality and are well made. WELL IT CAME DOWN TO TIME TO REBUILD MY FORKS AND I WAS WAY PAST OVERDUE. BOUGHT THESE TO PUT ON BECAUSE MY FORKS WERE COMING OFF ANYWAYS. SEAL SAVERS ARE GREAT THEY KEEP MOST OF THE DIRT AND MUD FROM MAKING IT TO MY SEALS. These are great for keeping decree out of your new or old fork seals .ghey are an inexpensive adds on that look good and protect . I would not ride without this product on my machine . Haven't had them on the bike that long but so far seem like a good product. 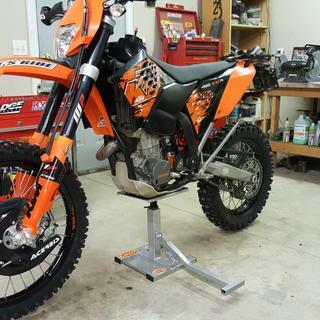 Easy to install especially if you are rebuilding your forks or putting new dust seals in. Great product for off road bikes. Ive been running these on various bikes throughout the years and they always help keep my fork seals nice and clean. they fit snugly around the fork so not much gets past them. I ride in muddy/rocky conditions too. Ripped open on first ride. First ride after washing the bike I noticed the right side fork sleeve was ripped wide open exposing the dust seal. Kind of depressing. They wont last long. If you have airforks this is a must have! My only complaint is it's hard to get to in order to clean. I have these seal savers on all my bikes and they seem to work well. They do hold up to the high demand of the desert. I will replace them when they wear out. I always use seal saves on all my bikes and to be honest I've never had to do fork seals because of leaks! Just had my forks serviced and thought I put these on. If they work as good as the ones I had in the past I won't ever have a leaky fork again. We run these on more than 10 of our bikes and have not experienced a single fork seal leak since installing them. We have been using them for several years now. 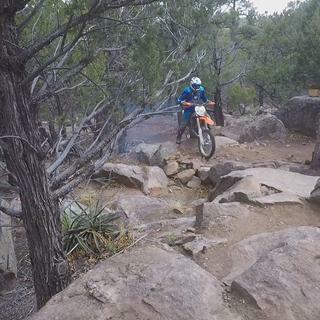 We primarily race hare scrambles under wet sandy conditions. This product is not working at all if you have a plastic guard on your forks. All in all did what they were supposed to do. Have not noticed any leaks in my forks. Only complaint is these only last a couple months at most. Then they start to tear. Perfect answer to keeping your fork seals clean. Making them last longer. Fits And looks great. Hard to install and clean. My fork seals don't seem to last any longer with them. Great layer of extra protection for loose soil conditions. Adds to seal lifetime and aids in maintenance/cleaning around seals. They sit dangerously close to the fork guards on my Yamaha, and have started to rub through, creating a hole. While the hole is away from the fork seal and these things are rated to last one riding season, I was hoping to have them last just a bit longer. says fits 45mm to 50mm fork tube is that inner or outer tube? BEST ANSWER: Not sure what your asking, but the material used is of a neoprene type and is very flexible. The fitting is based on the diameter of your fork tube (the shiny one). It'll fit both but they wear out fast. What size forks on a 1998 yz 250? BEST ANSWER: It looks like the 44-50 mm will be the one you want. If you enter in your machine in the drop down boxes you will get the correct size. BUYING ONLY ONE MEAN IT ONLY COVERS ONE FORK OR DO I NEED TO BUY TWO TO COVER BOTH COME AS A SET OR INDIVIDUAL? BEST ANSWER: These come in a set.